Jake Wells, a professional tattooist, DIY drone builder, FPV (First Person View) flight hobbyist, and possibly the world’s first RC (Remote Control) Christian Minister, shares some of his stories and ideas regarding the connection between religion, drone technology and his personal struggles. While flying, crashing and repairing his homemade drone in the area around his home in the Olympic Peninsula on the northwest tip of the USA, he recounts the story of his techno-spiritual awakening, from a life in which he felt remotely controlled by other forces, to his current state, in control, preaching and flying. 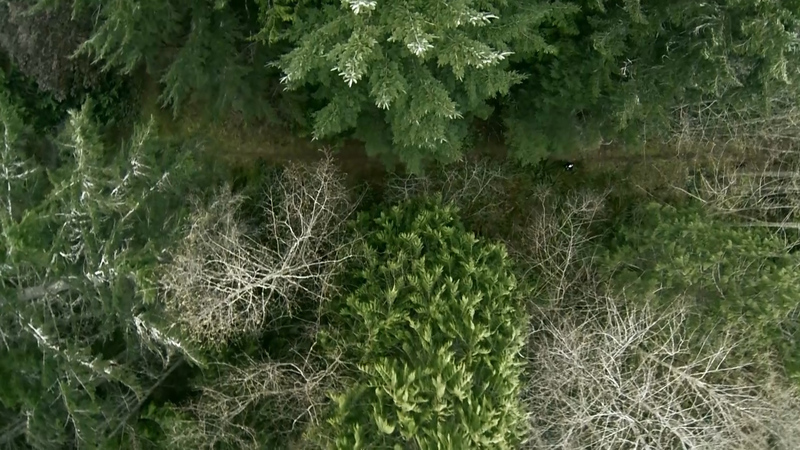 Footage of Wells observing himself from the drone’s point of view using FPV gear, and shots reminiscent of romantic landscape paintings depicting the wider wilderness setting in which he resides, are woven together with monologues based on Wells’ own brand of theology, concerned with the connection between FPV flight, out of body experiences and the nature of the soul.